We can’t let this Remembrance Day pass without citing George W. Bush’s latest so-sue-me confession to war crimes. 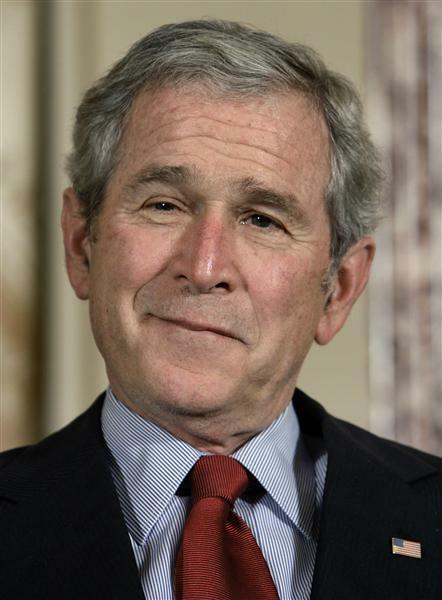 The gorge-filling moment comes when Bush explains his decision to waterboard prisoners by passing the buck to those who provided him with legal opinion on the matter: “I’m not a lawyer.” It wasn’t Bush after all. The President of the United States of America pursued a policy of torture on the advice of counsel. The war criminals at Nuremburg claimed to be subordinates following the orders of the executive. Bush may be the first executive war criminal to claim to be following the orders of subordinates. This entry was posted in Current Events on November 11, 2010 by Michael Happy. Jeff Mahoney reminds us that the values people fought and died for in two world wars somehow got lost in the peace thanks to corporate indifference to the common good. We know it so well here. Siemens is pulling out of the city. This week Maple Leaf sold its meat plant in Burlington. Siemens: “Values: Highest performance with the highest ethics. Excellent: Achieving high performance and excellent results.” Wow, the specificity! Six Sigma? Did they get that from one of Keanu Reeves’ Matrix movies? Remembrance of sacrifice on the battlefield is supposed to instil in us the value of courage and honour in the pursuit of social justice. Here is about as moving an eyewitness account from the front on November 11th, 1918 as you’re likely to come across. 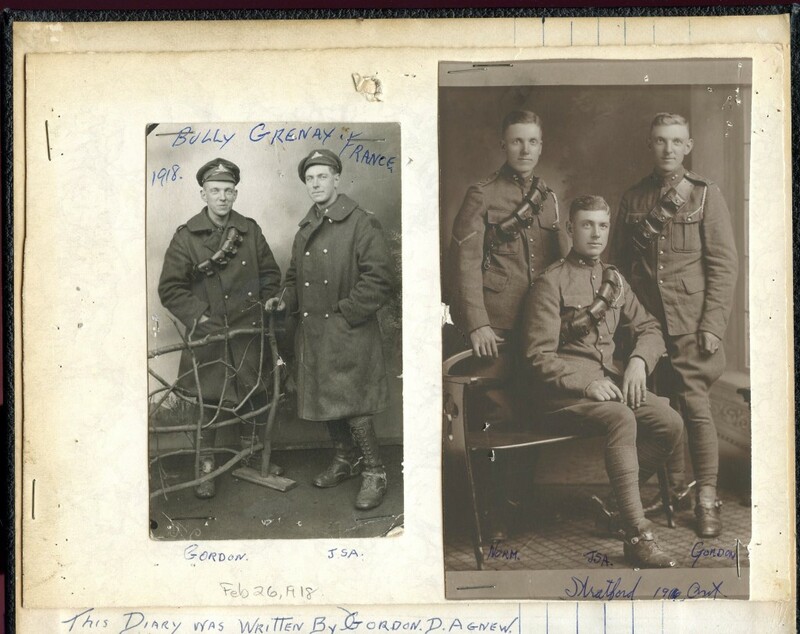 It’s from the diary of Gordon Agnew, a Gunner with the 25th Battery, 2nd Division, Canadian Expeditionary Force. After the jump is a beautifully rendered account of that day which very few people before now have had the opportunity to read. The entry for November 11th begins at the bottom of the first page. This entry was posted in Anniversaries on November 11, 2010 by Michael Happy.